The perfect seat for dining, our Lule chairs offer contemporary style whether you’re enjoying a meal alone or with guests. Bon appétit. 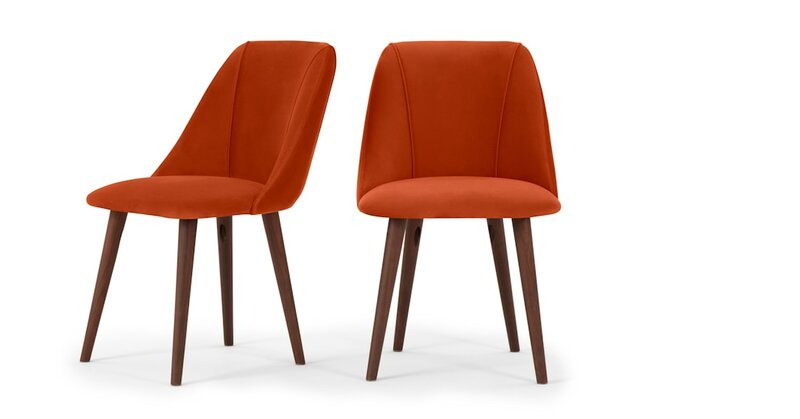 Slim crossed legs and a curved back and sides create a sophisticated silhouette that makes these chairs a modern classic. We can’t take our eyes off of them. The generous cushioned velvet upholstery makes our Lule chairs suitable for longer sittings. You can even use them as occasional chairs in the bedroom or living room.